Add £190 to this order to pay in easy instalments. 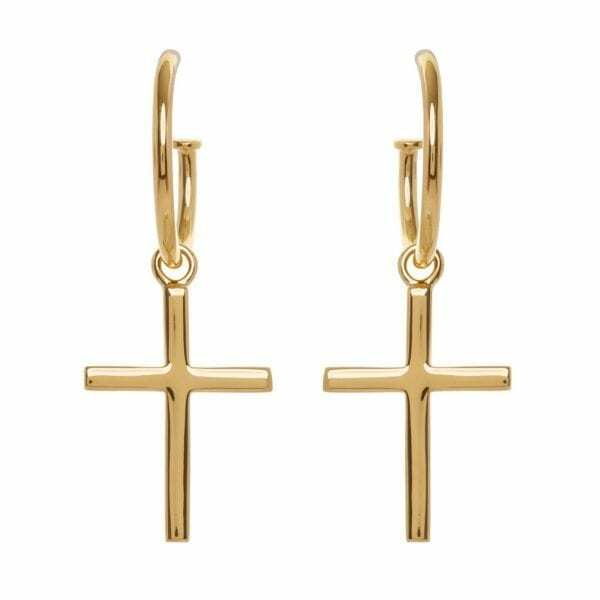 Sleek and stylish, this Kim Minchin Baby Cross Earrings Gold Ladies is a must have for any occasion. 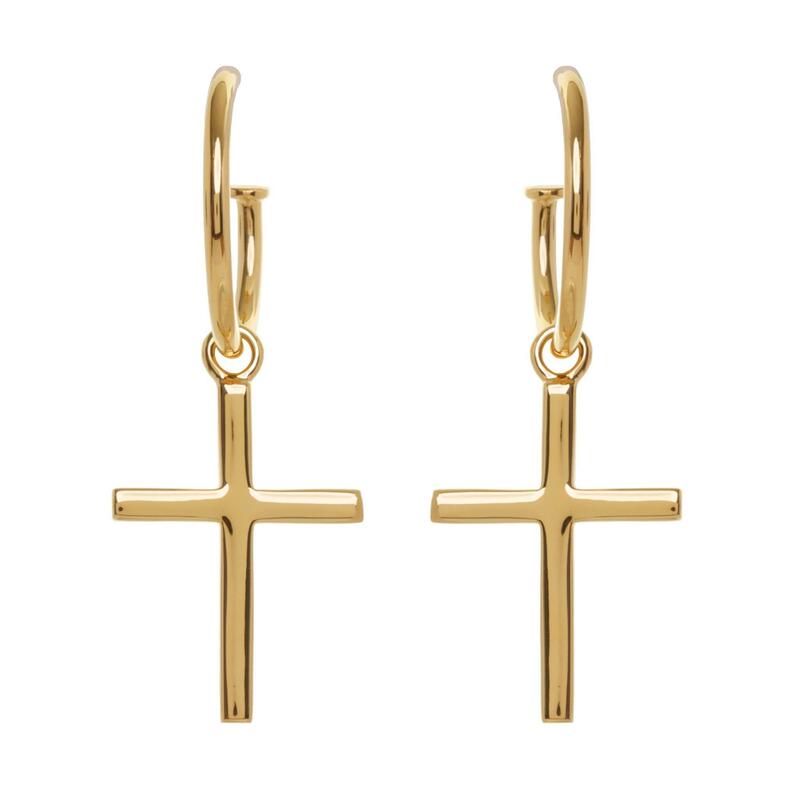 The cross is approximately 2.5cm in size with the hoop being 2cm. The necklace is made from 925 Sterling Silver and 14k Gold Plate.